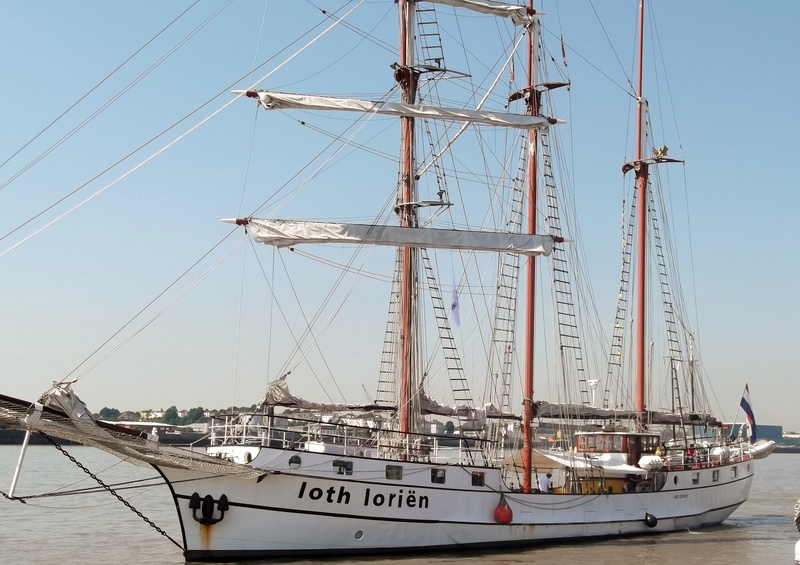 Today the German sail training vessel, Alexander von Humboldt II, came down river having spent the weekend in London. 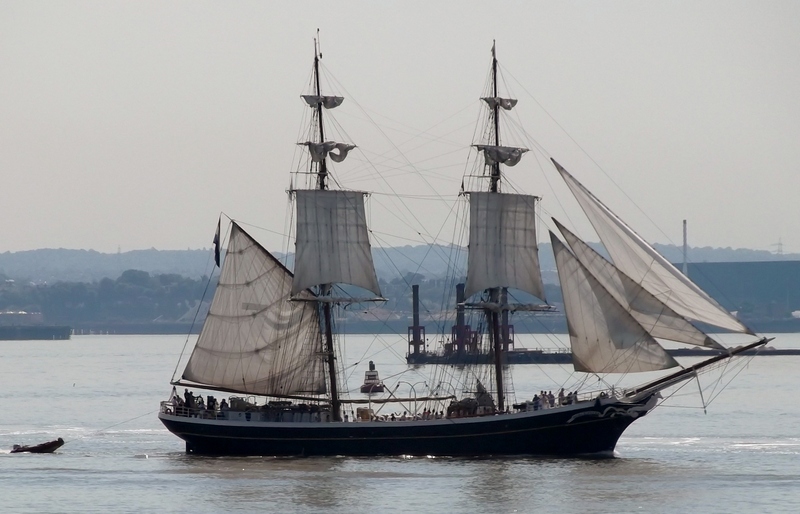 This magnificent ship used to have green sails but is now all in white. 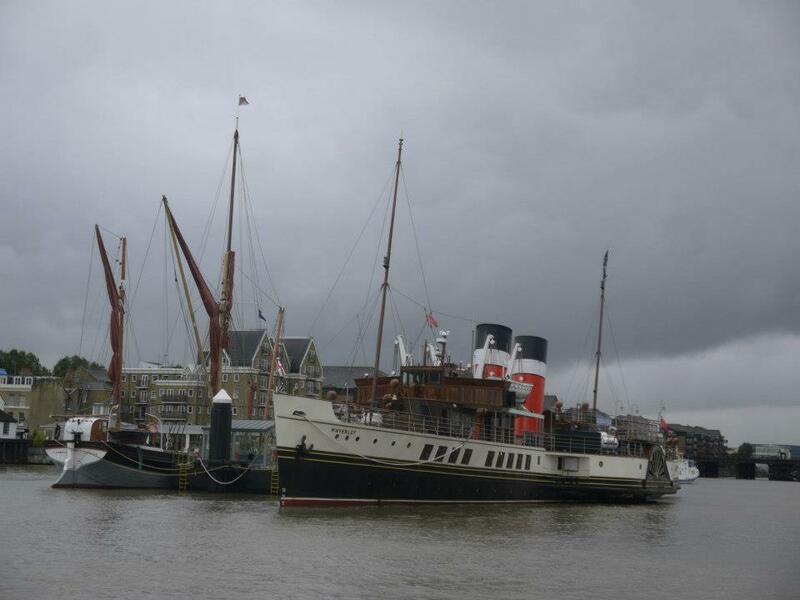 Here’s a picture of her coming down river, but who’s that following her? And here’s a picture of the Gravesend pilot boarding her. Here’s a good April Fool’s Day post – A hippo swimming in the Thames. Click here to read the story and see the video. 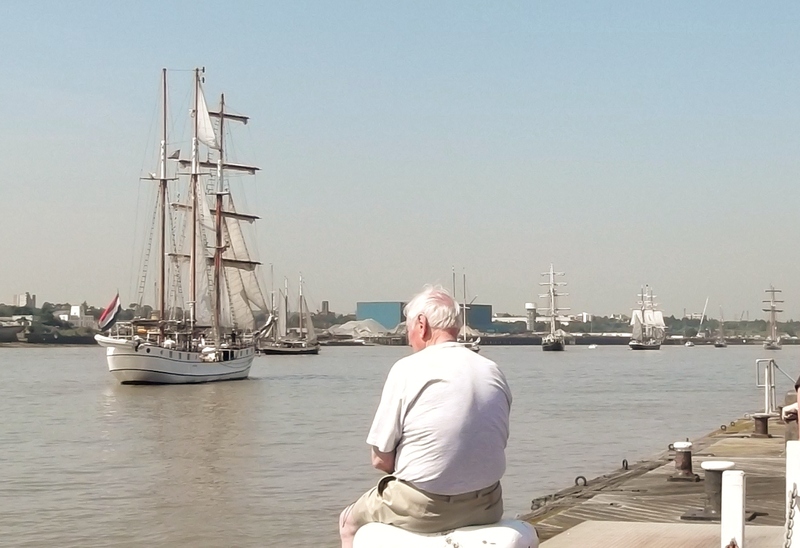 The Visit London tourism site has a very nice film about the river, fronted by Alex Hickman who is a Thames Waterman and Lighterman now working as a Pier Controller for London River Services, part of Transport for London. No mention of barges in particular, but a man with a real love of the river, its history and working on it today. 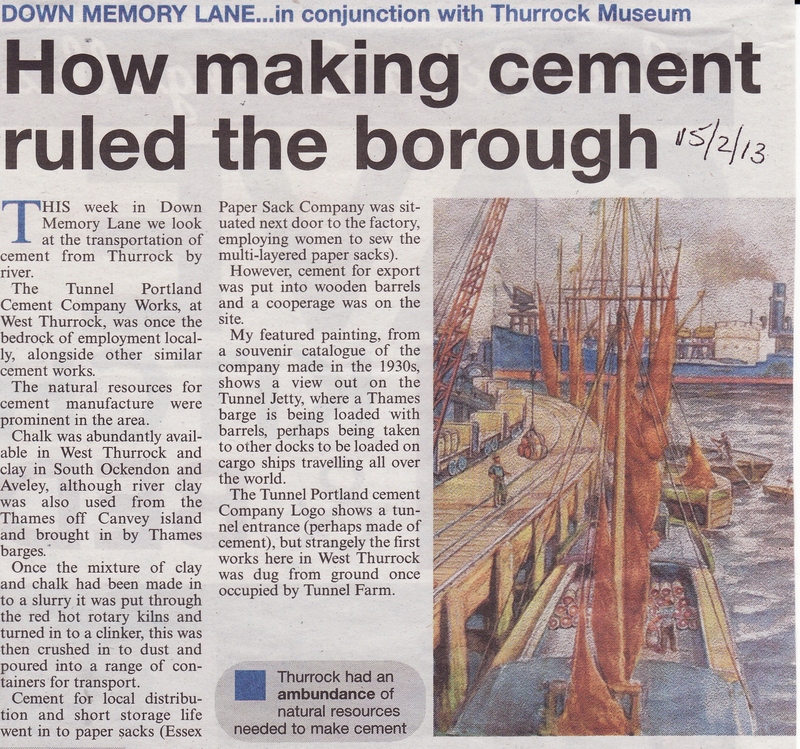 My local newspaper, the Thurrock Gazette, has a weekly column called “Down Memory Lane”, which is written by my good friend Jonathan Catton, Heritage & Museum Officer of Thurrock Council, or, in my terminology, Curator of Thurrock Museum. Each week I clip out Jonathan’s piece and put it in a Box File, but often don’t get a chance to read it for some time. I’ve just been catching up on them, and found one from February of this year about Thurrock’s cement industry, particularly Tunnel Portland Cement. It includes a picture which Jonathan had taken from the front cover of one of the company’s souvenir catalogues from the 1930s. It shows the Tunnel Jetty on the Thames with several sailing barges, one of which is being loaded with barrels of cement. Sorry the quality is not good as it is a scanned-in news cutting. Here’s the link to In the Boat Shed to see the whole article. 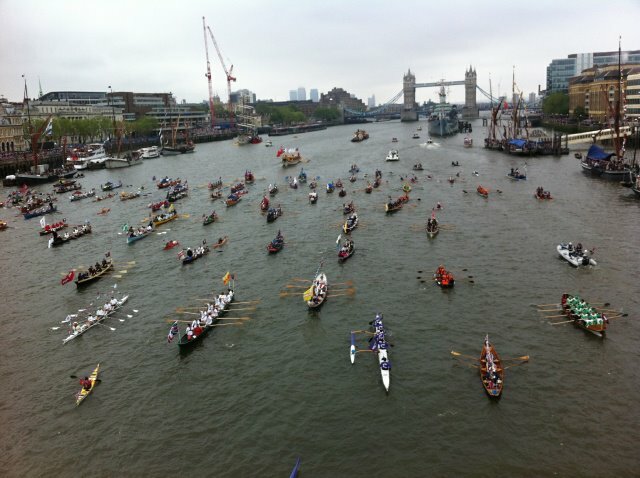 Jubilee Pageant on the Thames, where a considerable number of Thames barges took part. They were in the Avenue of Sail between London Bridge and Wapping rather than in the Pageant itself because they are too tall to go under any of the bridges higher up. It was an exciting time for those lucky enough to be on board the barges during the Pageant, or those who helped sail them up to the Pool of London. 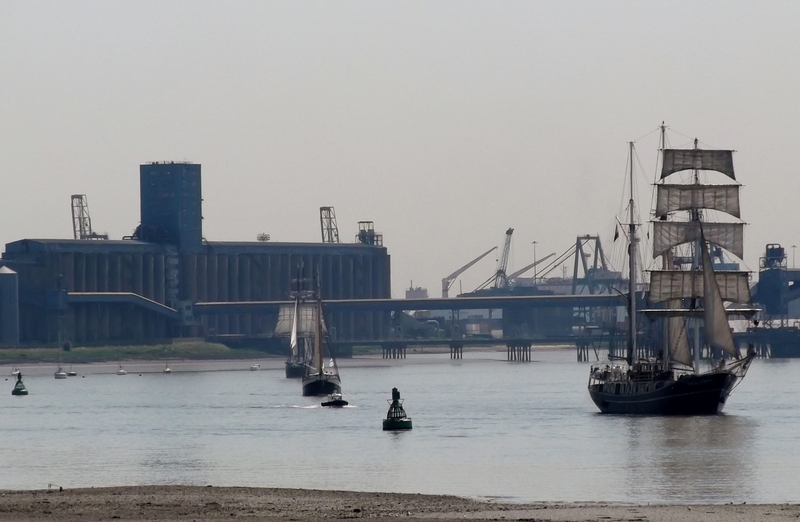 I have to say that I was disappointed that the Thames sailing barges got so little mention on TV or in the press. After all, the Pageant was on the River Thames, and they are the boats specially designed for the river and which for so many years carried goods to and from London by river. I hate criticizing what the Queen was doing, or what her advisers had her do, but I had hoped that when the Royal Barge came under Tower Bridge she would continue right to the end of the Avenue of Sail, and then come back to HMS President. As it were, the Queen reviewing the Avenue of Sail. It seems a bit pointless having an Avenue of Sail if the principal person is not going to sail through it. I hope the barge crews didn’t feel too disappointed.